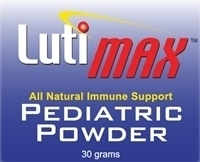 Luteolin has antioxidant, anti-inflammatory, anti-allergic, anticancer, and immune-modulating properties to suppress hyperactive immune systems. Luteolin is a potent hypoglycemic agent and improves insulin sensitivity. Luteolin may help promote healthy blood glucose levels and help in weight management for Syndrome X.